Today is my twenty-third birthday. I don't really feel all that differently from how I felt yesterday. The only thing that feels a bit different is that I know that my birthday always brings on this little bubbly magical feeling inside of me. The bubbly probably comes from soaking up the love, truth be told. I adore and love every well wisher and happy-birthday-sayer who spreads their love for me through FB messages and wall posts. Oh, and then there are also those deliciously magic filled cards that arrive in the mail and are found to be just bursting at the seams with loveliness and glitter and letters that spell out w-e l-o-v-e y-o-u that truly warms my heart. Last year my birthday was completely memorable (read about it HERE if you'd like)...ingrained within my mind for all of eternity...and really made me realize what life is all about. In case you were wondering, life is all about His love, given and poured out for you and me. Anyways, my digression aside... We had no power and no running water on my birthday last year (and I had to go in to work), but we had hands to lend to those in need and hearts filled to the brim with love after a storm hit our area. And that's all a girl can really ask for on her birthday right? To be loved beyond compare. Today the plans are simple. Italiano for lunch and a bookstore perusal afterward with my most loved ones (sans my daddy...no...can't...cry.) The cookie cake that my little sis made for me is beautifully whimsical. And this girl feels the love and blessings and magic of this day...my twenty-third birthday...all around her. Maybe twenty-three isn't so old or boring after all. Maybe it's just full of more love from another year flown by. Maybe it's just full of more magic and wisdom and people to love on. Maybe it's another year given to share about my Saviour's love and sacrifice with those I meet every day. Maybe it's about the giving and not the getting after all. Maybe it's all about the love. So, if you don't mind, I'd love to share some of my birthday love with you too. Yes, that's right, YOU! 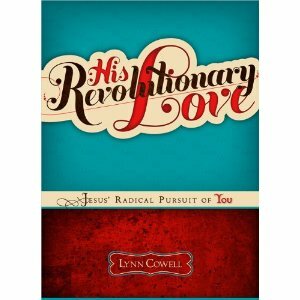 I just so happen to have a SIGNED copy of HIS REVOLUTIONARY LOVE by Lynn Cowell and I'd love to share it with one of you, dear restless birds! All you have to do is leave me a comment telling me about your most memorable birthday ever, okay? Also, remember to add your e-mail addy into your comment so I can get in touch with you via e-mail after I've randomly drawn a name. Thanks so much, Nela! Did you want to enter in the giveaway!? Happy birthday!!! 23 isn't old at all! You still have so many amazing gifts from the Lord yet to unfold :) Thanks for being a blessing in my life from across the globe and may the Lord bless your socks off today! My most memorable birthday was when I turned 9. :-) We were in California visiting my oldest brother, and we went to a casual little restaurant by the beach for fish and chips. Afterwords I remember splashing in the ocean to my hearts content, eating saltwater taffy and just enjoying being with my big brother! :-) I really have no idea why that birthday was so special to me. It's just the first one that always comes to my mind! My most memorable birthday so far was my sweet 16th. It might sound cliche, but it's true. My parents threw me a surprise birthday and invited tons of family, my new homeschooling friends, and my closest friend from public school that I hadn't seen in a long time. The party was Elvis-themed. My cake and cookie-cake featured a record and a VW Beetle. And even though my grandma was sick and I thought she couldn't come, my uncle pushed her in her wheelchair (she lived next door) over to the party for a few minutes. :) It was a wonderful day! Thank you, Kristin! Your 16th birthday sounds like it was a wonderful one...filled with surprise and love and laughter...the best kind, really. Thanks, Kathryn! Okay, so I totally squealed after reading about your most memorable birthday! You've got one sweet man. Happy belated birthday, Sarah! I hope you had a fantastic day! My most memorable birthday was probably my 20th. My friend came down to visit and set up a surprise lunch with two of our other friends from college at a Ruby Tuesday nearby. I had never had anyone surprise me with something like that before, and I just love that she thought to do that for me! I don't need to enter the book giveaway, though it looks quite fun, I actually just got quite a few armfuls of books very inexpensively at a book sale etc. so I have too much to read right now as is! But I hope someone with a great story gets it. I have many memorable birthdays, not all good sadly. But I will share something I always thought was rather funny, looking back......on my 21st birthday, when I heard rumor that many folks would feel "super elated" or "terribly sad" (due to it being significant since it's "legal" in the USA), I didn't feel that different from 20. But on my 22nd birthday, I had a VERY difficult day! I literally felt down all day and even cried. I felt like I was grieving my "lost year" or something! To this day I cannot really explain why or how that all worked. LOL But it did! I know what you mean about "grieving the lost year(s)," as I've felt that way for the last couple of years too. 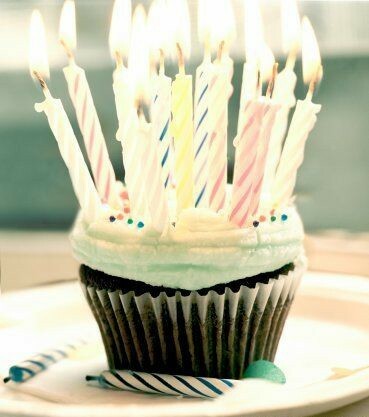 This year I had a really wonderful birthday, simply, but yes, wonderful! Oh, I love browsing through bookstores, especially when you have money AND it's your birthday too! Thanks for sharing, Katelyn! Happy birthday! Again. :D I know I already told you that on FB, but it seemed weird to leave a comment without saying so, LOL. My most memorable birthday? I have a few of those...first off, my actual birth was pretty memorable as I was born pretty much a stillborn, not breathing and such. Obviously the drs. managed to save me. ;) When I was fifteen I had a surprise party that my parents threw for me, and then on my sixteeth birthday my best friend [who lives two states away] showed up to surprise me. :) Those were both pretty awesome. I'm turning nineteen this year and so I'm pretty excited about that! Another memorable birthday that was NOT fun was when I was seventeen, I got the stomach flu and spent the day throwing up! Yuck. :P My other birthdays have been pretty neutral...it's kinda hard to beat almost dying on your birthday LOL.